Last week, the Make-A-Wish Foundation put many of us into the holiday spirit by making a young cancer patient’s dream of becoming Batman come true. Miles Scott, a 5-year-old from Northern California, was diagnosed with leukemia at just 18 months old and, after undergoing years of chemotherapy, is now in remission. The non-profit organization, along with the people of San Francisco, rallied together to transform the city into Marvel’s Gotham City and allowed the little man to roam the streets as Batkid. 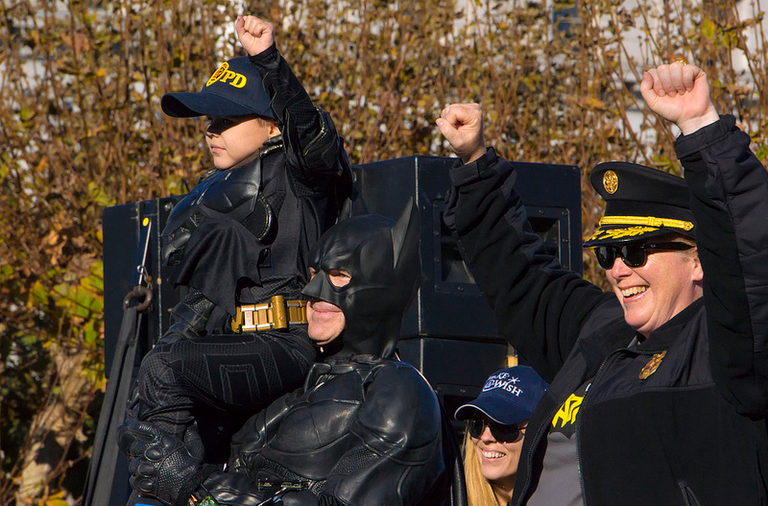 Police Chief Greg Suhr called on Batkid do what Batman does best: fight crime. Batkid foiled the Riddler’s plans to rob a bank, rescued a damsel in distress from being struck by a cable car, and saved the San Francisco Giants’ mascot from being captured by the Penguin. But he wasn’t fighting crime alone: a Batman impersonator accompanied him on his crime fighting spree. The day ended with the young cancer survivor receiving a key to the city from the San Francisco mayor, Edwin M. Lee, and a $10,000 check donated by an anonymous clothing company. Miles even got a shout-out from President Obama. And The San Francisco Chronicle circulated a special “Gotham City Gazette” edition in honor of Batkid’s heroics. What an amazing day it was for both Miles and the city! The tireless work of the Make-A-Wish Foundation and the support of the city of San Francisco both prove that something good can come out of something bad and together we can make the seemingly impossible possible.